The Centre has told the Supreme Court that Scheduled Caste/Scheduled Tribe (SC/ST) Government employees were automatically entitled for quota in promotions and reiterated the need for reconsideration of the M Nagraj judgment, saying collection of data to determine their backwardness was neither feasible nor desirable. Filing its written note on the matter on Tuesday, the Centre said a community was added to the list of Scheduled Castes after Parliament passed a Bill to that effect on being satisfied that members of that community suffered “extreme social and economic backwardness arising out of traditional practice of untouchability”. socio-economic attributes. While economic backwardness may be quantifiable, it is difficult to find a proxy to determine social backwardness,” the Centre said. 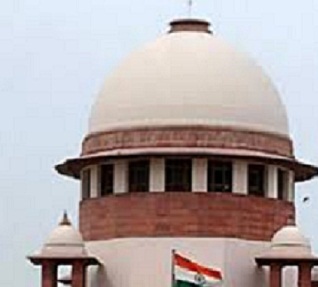 The report further stated that in 2006, the SC had said in the Nagraj judgment that if the State felt compelled to give reservation in promotion to SC/ST employees; it must collect quantifiable data to prove their backwardness while not compromising the Article 335 requirement to maintain administrative efficiency. On maintaining administrative efficiency, the Centre said quota in promotion was not available in sensitive posts which require great skill like judges of superior courts where efficiency in administration would exclude reservation in promotion. The Centre said it was of the view that need for collection of quantifiable data in the case of SCs/STs to determine their backwardness at the time of considering them for promotion may not arise, as their inclusion itself (in the scheduled category) was based on detailed process followed by the Government and Parliament. Promotion in reservation was available only to scheduled communities and not to Other Backward Classes (OBCs), it said. It said Article 16(4A) provided reservation in promotion to SC/ST employees because they were already considered backward and hence there was no need to repeat the process. “There is a difference between the OBCs and the SCs/STs and, therefore, evidence of backwardness may be relevant for OBCs, but not for SCs and STs,” the Centre said. “The policy of providing reservation in promotion to SCs and STs is to be implemented by each cadre controlling authority. It would be difficult for each cadre controlling authority to collect quantifiable data in each case as representation of SCs/STs in promotion posts keep changing,” it added.